In this exclusive feature, we interview fund manager Tay Jun Hao who manages the Heritage Global Capital Fund at Swiss Asia Financial Services Pte Ltd.
Tay has over six years of experience in the financial markets and from the period of January 2012 to September 2017, he achieved a cumulative return of +146.03% or an annualized return of +16.95%. In 2013, Tay won the Orbis Stock Picking Challenge held by Orbis Investment Management Limited, a global investment management firm with over $30 billion in AUM. He beat participants from Oxford, Cambridge, the London School of Economics, University College London and the London Business School, by generating an absolute return of 55.7%, — an outperformance of 21.7% against the benchmark over the course of one year. Tay graduated with a Bachelor of Laws (Honours) degree from University College London, and is also a frequent guest speaker at his alma mater, London School of Economics, and at investment conferences held in Singapore. Q: What piqued your interest in investing and how did you get involved in it? It really started back in 2010 – when the Deepwater Horizon oil spill involving BP happened. I remember watching the coverage of the news (I was in the UK then) and the amount of negative coverage it was getting, especially in the U.S. It was on the news daily and the share price of BP kept plummeting. I remember thinking to myself thinking this was pretty crazy. BP had hundreds of billions of assets – how could one incident wipe off such a significant part of its market value (I didn’t understand what market capitalization was at that point). Around this time, I was heading back home to Singapore and I happened to pick up a copy of Warren Buffett’s biography. I remember not sleeping on the flight home as I devoured read the book. I read somewhere that value investing is like an inoculation – it either takes or it doesn’t. In my case, the idea of paying 50 cents for a dollar made perfect sense. I got off the plane, downloaded BP’s annual report trying to value it… and of course I didn’t have a clue as to how to read the financial statements of the company. Still, the whole incident really piqued my interest in the financial markets and got me going. The funny thing was that I was en route to becoming a doctor. Eventually my interest for investing was so great that I decided to quit medical school and went to law school. The reason I picked law school was that it was much shorter (three years) and I wanted to graduate as soon as possible and that I thought understanding the legal side of business would give me an advantage over everyone else. I really think of investing as a great intellectual challenge. On the one hand, you have the more “scientific element” – which comes down to understanding the business, the dynamics that drive the business, and of course valuation. The “artistic element” to it is understanding how cycles and human emotions interact to create excessive swings in the markets. Cycles of greed and fear drive market valuations up and down continuously and repeatedly. I found understanding all the different pieces of the puzzle to be intensely fascinating. One thing I love about investing is that it at the end of the day, if you have a good framework and if you are right, the results will show for it. Having a CFA, MBA or being an authority figure doesn’t necessarily translate into better returns. 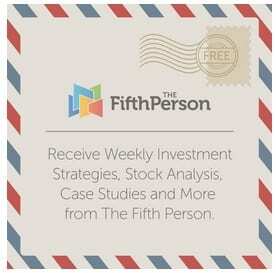 Q: What’s your investment strategy and why do you follow it? I run a fund that uses a mixture of quantitative analysis, fundamental research, behavioral insights and the capital cycle, of which its central tenet is that the prospect of high returns will attract excessive capital (and hence competition) and vice versa. It was developed by taking the quantitative approach in finding cheap companies systematically espoused by Benjamin Graham in The Intelligent Investor and modifying it greatly to include certain qualitative factors, and adapting it for investing in Asian markets. The funny thing is that I started out as a Buffett-like investor – trying to look for great companies at good prices, and that was a good starting point because the U.S. market is filled with dynamic companies that are global market leaders. When I started in 2011, many of these businesses were trading at cheap valuations (I remember Microsoft trading at close to 10 times free cash flow at one point). Back then, it was really all about the China growth story, and how the West was in decline. Political crisis in the U.S. and the Eurozone crisis provided a great backdrop for me and we were picking up plenty of large capitalization companies at bargain prices. All good things come to an end and eventually this opportunity disappeared when markets rallied once the crises abated. It was around then that I started looking much harder at Asia. The great thing about Asia is that we found a lot of Graham-type companies – companies trading at deep discounts to book values or even liquidation values. Many of them were reasonable businesses paying good dividends. One of my earliest stock picks which I bought and wrote about was Popular Holdings. Simple enough to understand, clean balance sheet, paying a dividend in excess of 5%, and trading substantially below book. This wasn’t an atypical investment we were looking at back then. When you look at Buffett’s career – he really killed it in his early days running his partnership investing in these small to mid-size businesses. Sure they didn’t have stellar financial results – but the cheap valuations and good dividends made up for it. Still, it wasn’t a simple case of applying Graham’s formula wholesale into the markets we operated in. We had to make significant modifications such as taking into account the different types of frauds and accounting gimmicks that were common in Asia and looking into issues such as related party transactions among other things. Q: Which are your favorite markets to invest in and why? The strategies we employ in each market are different. Markets in the U.S. and Europe are much more efficient, and getting an informational edge is much harder. My favorite market is probably still the Singapore market. Compressions in profit margins in brokerages has decimated the sell-side industry, and you really only have coverage of the largest companies in Singapore. I remember when a $1 billion Singapore property developer we owned got privatized, and there was no meaningful coverage on it at all! The lack of meaningful coverage means that markets are much more inefficient, making it fertile hunting grounds for investors keen on doing their homework. Retail investors also tend to dominate the field for small to mid-size companies. The downside is that the markets tend to be less liquid than the other markets we operate it – but I see that as a plus. It takes time to build up the competence to know how to trade in and out, and learning how to do so is a huge operational advantage. Hong Kong is a great place to be in too for the reasons listed above – with the added advantage that its far more liquid than Singapore. Q: You seem to specialize in investing in property conglomerates. Why so? I like to talk about property conglomerates and property in general because it’s something that most people intuitively understand and are familiar with. If you look at the richest people in Hong Kong, Singapore, and China – you realise that many of them are property developers and it was great fun in understanding how someone like Li Ka-Shing became the richest man in Hong Kong. The interesting thing is that the business models of many of these tycoons are extremely similar. “Those of you familiar with me know that I generally hold a bearish view of the property market in Singapore. Prices have risen considerably, and the general sentiment of the average investor is far too bullish for me to be comfortable, especially with what is essentially a highly geared investment. Back then, my understanding of property cycles was woefully inadequate – something that I corrected. Thankfully things did not end as badly as I had feared due to the successful intervention of the government through successive rounds of cooling measures. The interesting thing was that equities related to the property stock (construction, material suppliers, developers, REITs, etc.) were hammered relentlessly from 2015 to 2016 and there was a huge divergence between their real intrinsic values and what they were trading at. To give you an example, City Developments was trading cheaper on a price-to-book basis than it did in the 2008 Great Financial Crisis. This divergence between fundamentals and stock prices piqued my curiosity. The situation in Hong Kong was even more extreme. Property conglomerates were trading at huge discounts to their book values even though there was an active private market where their assets were being sold at premiums to book values. The discount has since significantly narrowed but I still like to keep my eye on it from time to time though I doubt we will see the mis-pricings that we did in 2016 again for a long time. It was really a perfect storm. Q: As an investor, what’s the best advice you’ve ever received? If you take care of the downside, the upside will take care of itself. There’s plenty of speculative behavior when it comes to stocks, and every now and then, people get carried away with the latest fad or story. When it comes to any idea, the number one thing we try to do is to try to kill the company. We think of all the things than can go wrong – be it lousy management, excessive leverage, poor alignment of interests, etc. Most people are blindsided by greed and look only at the upside. After all, stories are easier to sell than facts. And most people from my observation don’t get there at all. Q: If you could give advice to those who are just starting as an investor, what would it be? Be humble and realise you are going to need to put in the hard work to learn and understand the fundamentals. Investing is a serious business and there’s no getting around it. There’s two things you really need to know – business valuation and market psychology. Business valuation is easy enough to learn these days, and there are a ton of free resources, books and courses available online. I read somewhere once that Jim Rogers said that if you read the annual report of a company, you will have done more than 98% of the people on Wall Street. If you read the footnotes in the annual report, you will have done more than 100% of the people on Wall Street. I didn’t believe it at first but over the years, it still amazes me how little work or due diligence people do when it comes to investing their hard-earned cash. Learning about market psychology, on the other hand, I find much harder. You really have to appreciate history and there’s no way around it but reading. As Mark Twain was reputed to have said: “History doesn’t repeat itself but it often rhymes”. Unfortunately, history teaches by analogies not maxims, and you need to put in the time before patterns emerge. Looking to invest in property stocks in Singapore and Hong Kong? Here’s how Tay Jun Hao personally picks the best Asian property conglomerates to invest in.